During these one hour sessions, we will look at how meditation can eliminate stress and help you to be more relaxed, peaceful and positive in daily life and in your workplace.Train in powerful stress-busting techniques derived from ancient Buddhist wisdom. Through learning to face life’s adversities with a clear, wise mind we can transform hardships into opportunities for spiritual growth. A great way to de-stress from the week and head into the weekend feeling balanced and energized. Each session will consist of guided meditation combined with simple practical advice for life you can implement right away. Three Thursdays in April , Three Thursdays in May, and Three Thursdays in June. Try the whole series, or power up each month! Cost: $65 for the 9 week series, $25 for each month, or $10/class. Free for members and benefactors. 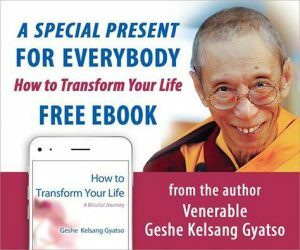 Gen Kelsang Gomlam is the Resident Teacher at Kadampa Meditation Center Madison and Venerable Geshe Kelsang Gyatso’s representative in Madison. She has been studying, practicing and teaching Kadam Dharma for many years. Gen Gomlam’s heartfelt and practical teachings are presented with warmth and humor, making them accessible to everyone. Through her loving kindness, sincere concern for others, and deep understanding of Buddha’s teachings, Gen Gomlam provides an inspiring example of someone who has taken Buddha’s teachings to heart. Classes in Milwaukee | Spring 2019 - Sign up for details and updates!